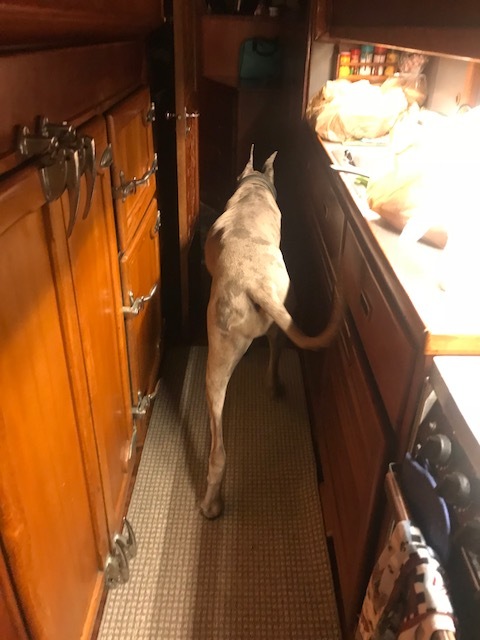 We were out shopping for screws and epoxy at one of the boat stores when Hotwife got bored and started perusing “the Log” newspaper; only to discover Quincy the Boat Great Dane on Page 16 with a caption and a shout-out with our Blog Name. If you’re in Southern California, grab the Oct 5th issue of “the Log” newspaper and take a look at Quincy the Great Dane. 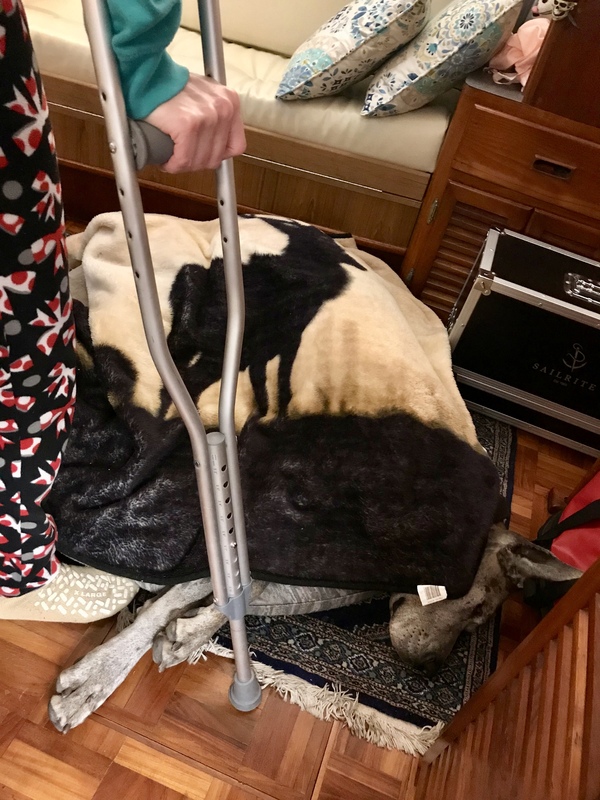 Here’s the picture in the paper, one of the first ones I took of her standing on the bow, her first day on Tulum 5. 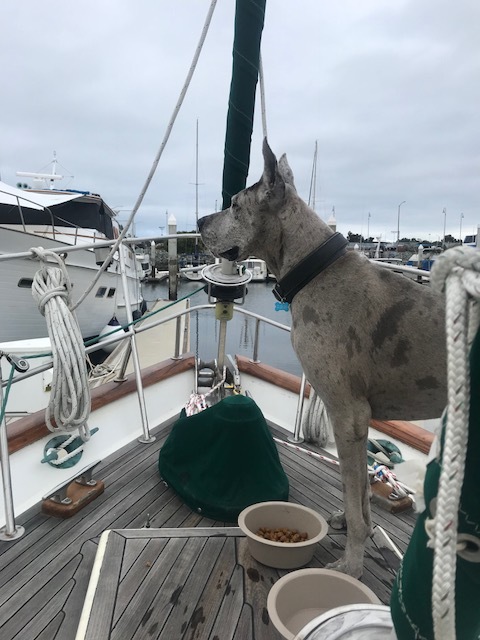 Seriously,,,,a Great Dane on a Sailboat?